The Midland line is a 212km section of railway between Rolleston and Greymouth. The eastern abutment of the railway viaduct bridge at Broken River consists of heavily jointed greywacke, and required stabilisation. Geotech were engaged to undertake the rock stabilisation work. All work had to be done from ropes. The remote location and restricted access were two key issues when undertaking this project. A specially designed drilling platform was utilized with a specific environmental plan to prevent material entering the river water below. Solid Energy New Zealand wished to mine a thick coal seam below the Mt. Augustus ridgeline at Stockton Mine near Westport. The coal was covered by up to 30m of overburden, which required removal to access around 4 million tones of high quality coal. The Coal Mining Lease boundary was located just below the coal measures. The adjacent land is conservation estate - known habitat of kiwi and the native land snail – Powelliphanta augustus. The possible effects of mining operations on the surrounding conservation lands and waterways needed extensive pre-planning, design and consent processes. The project involved high profile mining with zero tolerance for loss of water or rocks to the adjoining conservation estate lands. This project was the subject of considerable public protest and was under heavy environmental and media scrutiny. The process of accessing the ridgeline resource involved a range of specialised contractors. Geotech were the prime contractor, providing low volume, high end ground engineering. The 7.7MW Amethyst Hydro power station was commissioned by Westpower in June 2013. The station is situated 5km east of Harihari. Water is taken from a streambed intake high up in the Amethyst River and transported to the powerhouse via a tunnel and penstock. 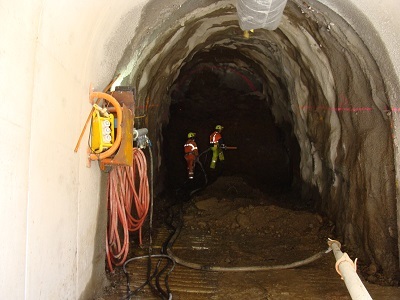 Geotech was the primary contractor for implementing this project, which consisted of two key areas, being portal stablilisation and establishing the tunnel. 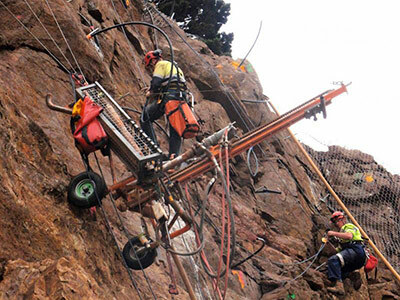 Following the Christchurch earthquakes the cliff face at Windy Point, above Lyttelton Port, required a geological assessment and stabilisation, to ensure the safety of port workers going about their essential duties. 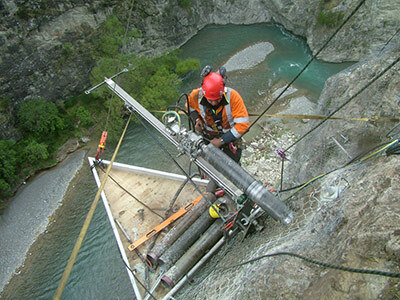 Geotech were responsible for removing loose debris, drilling rock anchors and securing rock mesh to the face of the cliff, to mitigate the effects of further aftershocks and to contain the rock face.